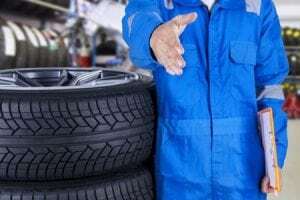 Do you need a Mechanic in Davie? Everyone needs a mechanic in Davie; From families and their sedans and SUVs to the mudders who take their trucks wherever they decide too. But for south Florida, there is an overwhelming need to have a car that just works, but when people have problem with their car, they choose Tropical Performance as their Davie Mechanic. People choose Tropical Performance because we provide the best services in the city. We are a family owned establishment that believes in honesty and quality. Oil changes cannot be overstated regarding relevance and importance. Every car, from clunkers from the eighties to the newest electric vehicles have oil inside their engines that need to be changed for optimal performance. If you want a fast, hassle-free oil change, visit us today! Has your check engine light come on? Don’t roll the dice on the wellbeing of your vehicle. See us today, and we will diagnose the problem that is plaguing your car within 1-hour. The roads get wet, your light changes to yellow too soon and sometimes the brakes just give way. If you’ve been in a fender bender or smashed your headlight, give us a call. We do quick body work that will have your car running well as new. One of the most common problems that we receive for any car, new or old, is engine repair. Whether it’s the engine block and transmission to new fluid lines and a busted coolant box; Everyone comes in for any type of engine repair.